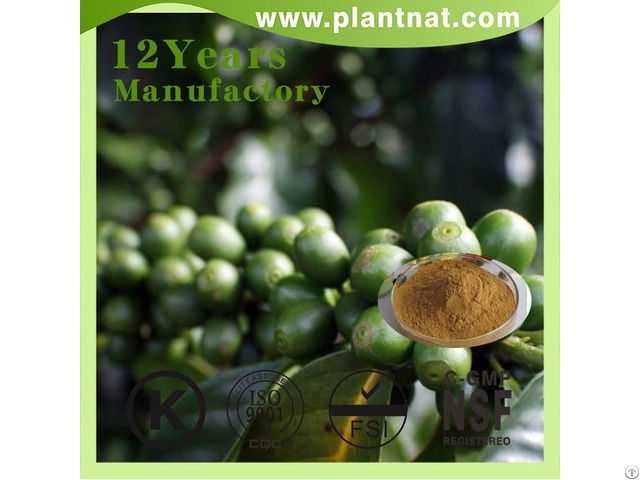 Green coffee bean extract powder is made from the seeds of Rubiaceae plant CoffeaarabicaL, CoffeacanephoraPierreexFr oehn and CoffealibericaBul1.exH1en . 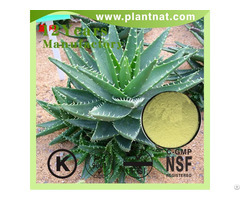 The active ingredients is Chlorogenic acid. Green coffee bean extract can lower blood pressure, antineoplastic, tonify kidney and antioxidant. 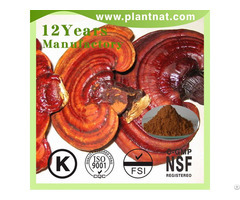 It also can be used in healthcare food products and it makes the products delicious. Green coffee bean extract powder can make people lose weight naturally. Clinical trials demonstrated that green coffee pills can increase your weight loos by by two or three times compared to people who only diet and exercise. Besides Green coffee bean extract powder has no side effects many customers enjoyed increased energy and less mood swings. 1.Green Coffee Bean Extract (Chlorogenic Acid 50%) is good for kidney. 2.Green Coffee Bean Extract (Chlorogenic Acid 50%) has wide anti-virus, anti-bacteria effect. 3.Green Coffee Bean Extract (Chlorogenic Acid 50%) has relatively lower toxicity and side-effects. 4.Green Coffee Bean Extract (Chlorogenic Acid 50%) has anti-hypertensive effect, anti-tumor effect. 5.Green Coffee Bean Extract (Chlorogenic Acid 50%) can be used as anti-infectious active ingredient. 6.Green Coffee Bean Extract (Chlorogenic Acid 50%) can also lower the risk of blood pressure and miscarriage. 7.Green Coffee Bean Extract (Chlorogenic Acid 50%) can enhance immune function and also is widely used in anti-oxidation, anti-aging, anti-aging musculoskeletal. 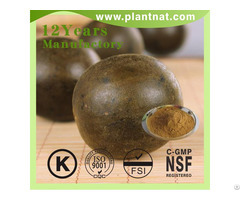 Business Description: Plantnat is a 12 years plant extract manufactory ,we are main in rosemary extract , rosemary acid, marigold extract,zeaxanthin,Cordata extract， Kelp Extract， Stevia Extract，luohanguo extract, ChamomileExtract，green coffee bean extract ,Crowthorne acid，maca extract , Aloe extract，Epimedium extract，Garlic extract and so on! Plantnat Bio-Tech is in the line of botanical/herbal extracts(more than 300 types), fruit & vegetable powder, API, herbal medicine etc. With our own lab facilities, free testing services are provided and product quality are of guaranteen! Customized products (SPEC. esp. high purity spec. & products) are available.